We all know what buzz is: It’s noise. At InfoWorld, one of our self-appointed tasks is to extract the signal from that noise, to separate the stuff valuable to IT professionals from that which is popularly considered a big deal. This mandate is the inspiration behind InfoWorld’s list of top 10 emerging enterprise technologies of 2009. We believe this is an amazing time in IT, with a swarm of new technologies that have the potential to reduce costs, change the way we work, and open up new frontiers. So we decided to brush aside the high-level trends trumpeted by analysts and ask ourselves: Which enterprise technologies shipping now, but not yet widely adopted, will have the greatest impact? The result is the collection of actual, vapor-free technologies you find here. We used no scientific method in our selection process. Our list is based entirely on the collective judgment of InfoWorld editors and contributors. We have purposely avoided specific product mentions or recommendations, because we have set our sights on long-term potential rather than current implementation. If it’s your job to concoct your organization’s technology strategy and decide where to place your bets, then our top 10 emerging enterprise technologies is for you. Narrowing down the candidates to the final 10 wasn’t easy, especially after we received so many excellent responses to the call for nominations we made in September. We don’t expect you to approve of all of our selections. In fact, if history is any guide, a certain number of you will disagree violently with our conclusions. Keeping up with malware signatures is becoming unsustainable. In 2008, for example, Symantec put out more antivirus signatures than it did in the company’s previous 17 years of existence. Not only are there more viruses, worms, and Trojans, but an increasing number have the ability to morph into variations that avoid signature detection or cloak themselves using encryption. Ultimately, the only answer to the increasing proliferation and sophistication of malware may be whitelisting, where the only executables that can run on a system are known, good executables. Obviously, whitelisting requires a cultural shift. In many enterprises today, users still have some measure of control over what they run on their own desktop or laptop computers. But due to the relentless ramp-up in new and smarter malware — and the increased involvement of organized crime in malware-based attacks — whitelisting may be our only hope in the losing battle over enterprise security. The iPhone boom has brought many things to programmers beyond the urge to simulate bodily functions with apps like iFart. The most enduring legacy is familiarity with Objective C, a language first introduced with Steve Jobs’ NeXT Computer in 1988. So why not start with something simple written in the languages spoken by every Web developer? When I built Web versions of my book, “Free for All,” I added a special markup that let the iPhone install the Web page as if it were a regular app. All of this code will work on other WebKit-enabled browsers, like the one in Android, and it’s not hard to make it work on the BlackBerry. Others are porting popular languages like Ruby. The Rhomobile tool, for instance, embeds a complete Ruby interpreter and Web server inside your app so that you can write everything in Ruby. The folks at Apple forced them to remove the eval function because it hurt their ability to completely test each app, but aside from that, it’s like building a Web site in Ruby. The code runs on the major platforms. All of these approaches are surprisingly good — if you’re not looking for superfast performance or perfection. Game developers can use the accelerometer with these apps, but only to build simpler, two-dimensional games that don’t need access to the deepest levels of the video hardware. Fonts and layouts are sometimes just a bit different from platform to platform, and this can be annoying. But if your requirements are simple and you already know Web development languages, these approaches are much easier than learning Objective C.
For enterprises, cross-platform app dev eliminates a key barrier to developing and deploying mobile applications developed in-house. It’s difficult to mandate that all employees use the same smartphone, and even if you could, coding your apps for a specific platform locks you in. With cross-platform app dev, you can write it once — without having to learn the quirks of a specific platform — and run it across many devices. At last, widespread deployment of mobile enterprise applications may become a reality. We all know the “two kinds of green” cliché: Save the planet and save money by reducing power consumption. The technologies to accomplish that dual purpose have already found their way into servers, desktops, and other hardware, but in some cases, the benefits will accrue only as better software support emerges. More efficient power supplies, along with hard drives that reduce speed or shut themselves off when they aren’t needed, are delivering the goods right now. But in order to “park” inactive cores and motherboards or other components that go to sleep, multicore CPUs generally need to be told to do so at the OS or application level. Power supplies are the simplest way to save energy. They need no software support and produce a double savings; they waste less electricity in the AC-to-DC conversion process and produce less heat — reducing the power required for cooling. The 80 Plus certification program, funded by a consortium of electric utilities, provides incentives for manufacturers to produce power supplies that are at least 80 percent efficient, a jump from old units that went as low as 50 percent — that is, only 50 percent of the power reaches the motherboard. The other 50 percent generally dissipates as heat. Several storage vendors produce hard drives that can spin down or power off when not in use. Most of the systems shipping now limit the functionality to slowing down drives, since the time required to spin up or shut down a drive is longer than most applications support. There are generally three levels of power savings, each conserving more power and requiring more time to return to full functionality; think of them as slow, slower, and off. The first state can be recovered from in 1 to 2 seconds and the second in less than 30 seconds, while recovery from the powered-off state can take as long as two minutes. The latter causes problems with most applications, so most vendors don’t use it. The latest CPUs support core parking, powering down cores that aren’t needed when loads are light. The feature is supported in Windows 7 and Windows Server 2008 R2. It’s most useful in servers that are intermittently loaded or lightly used outside of business hours. A two-, four-, six-, or eight-core processor can shut down all but one core and still respond to requests, and return to full functionality if the load on the single core increases beyond a set limit. Network interface cards can shut down when the network is not in use, and other components are adding similar capabilities. But until these features are supported by the operating system — and, in some cases, individual applications — they are of little use. It’s great to have a NIC that powers itself down, but you need an operating system that can power the thing up again. The major processor vendors have hit the wall with clock speed. Each new increment in clock ticks draws so much additional power, any true performance boost incurs the wattage and heat output of, say, an electric iron. So the manufacturers have switched from a single-lane autobahn to multilane highways — that is, from a single, fast core to multiple slower cores that execute code in parallel. Breakneck speed is no longer the holy grail of computing. Instead, it’s total throughput. Chips with multiple cores consume less power, generate less heat, and complete work very efficiently. On servers, they are exactly what IT likes. Today, for example, an Intel Nehalem processor has four cores, each of which can run two threads simultaneously, so on a quad-processor system — an inexpensive box — 32 threads can run simultaneously. Five years ago, only mainframes and very high-end servers could deliver that kind of scalability. Today, it’s run-of-the-mill. Multicore chips have had less impact on desktop computing, due to the lack of applications that can make good use of the parallel resources — not to mention the lack of programmers skilled in writing multithreaded desktop software. That’s changing, however, especially in workstation applications and in graphics apps aimed at power users. It’s clear the many-core era — which will surely evolve into the kilo- and megacore epoch — will enable us to perform large-scale operations with ease and at low cost, while enabling true supercomputing on inexpensive PCs. SSDs (solid-state drives) have been around since the last century, but recently, we’ve seen an explosion of new products and a dramatic drop in SSD prices. In the past, SSDs have been used primarily for applications that demand the highest possible performance. Today we’re seeing wider adoption, with SSDs being used as external caches to improve performance in a range of applications. Gigabyte for gigabyte, SSDs are still a lot more expensive than disk, but they are cheaper than piling on internal server memory. Data is flowing everywhere like never before. And the days when “SQL” and “database” were interchangeable are fading fast, in part because old-fashioned relational databases can’t handle the flood of data from Web 2.0 apps. The hottest Web sites are spewing out terabytes of data that bear little resemblance to the rows and columns of numbers from the accounting department. Instead, the details of traffic are stored in flat files and analyzed by cron jobs running late at night. Diving into and browsing this data require a way to search for and collate information, which a relational database might be able to handle if it weren’t so overloaded with mechanisms to keep the data consistent in even the worst possible cases. Sure, you can make anything fit into a relational database with enough work, but that means you’re paying for all of the sophisticated locking and rollback mechanisms developed for the accounting department to keep track of money. Unless the problem requires all of the sophistication and assurance of a top-of-the-line database, there’s no need to invest in that overhead, or suffer its performance consequences. The solution? Relax the strictures and come up with a new approach: NoSQL. Basic NoSQL databases are simple key/value pairs that bind together a key with a pile of attributes. There’s no table filled with blank columns and no problem adding new ad hoc tags or values to each item. Transactions are optional. The real game is keeping the features that are necessary while avoiding the ones that aren’t. Project Cassandra, for instance, promises to offer consistent answers “eventually,” which may be several seconds in a heavily loaded system. Neo4J requires the addition Lucene or some other indexing package if you want to look for particular nodes by name or content because Neo4J will only help you search through the network itself. All of these new projects are just the latest to rediscover the speed that might be found by relaxing requirements. Look for more adjustments that relax the rules while enhancing backward compatibility and ease-of-use. And expect a new era of data processing like nothing we’ve experienced before. I/O virtualization addresses an issue that plagues servers running virtualization software such as VMware or Microsoft Hyper-V. When a large number of virtual machines runs on a single server, I/O becomes a critical bottleneck, both for VM communication with the network and for connecting VMs to storage on the back end. I/O virtualization not only makes it easier to allocate bandwidth across multiple VMs on a single server, it paves the way to dynamically managing the connections between pools of physical servers and pools of storage. But let’s start with the individual server. Take, for example, VMware’s recommendation to allocate one gigabit Ethernet port per VM. A server that supports 16 VMs would therefore need four four-port gigabit Ethernet NICs, plus additional Ethernet (iSCSI), SCSI, or Fibre Channel adapters for the necessary storage. Many servers don’t have enough empty slots to support that many adapters, even if the cooling capacity were adequate. And 16 VMs per host is barely pushing it, considering that today’s Intel and AMD servers pack anywhere from 8 to 24 cores and support hundreds of gigabytes of RAM. Consolidation ratios can go much higher. Typically, a single adapter resides in each server, connected by a single cable to the appliance or switch, which then provides both network and storage ports to connect to storage and other networks. This simplifies datacenter cabling, as well as the installation of each server. It also eases the task of transferring adapters to another system if a server fails. In solutions such as Cisco UCS, I/O virtualization makes server provisioning, repurposing, and failover extremely flexible and potentially completely automated, as it’s handled entirely in software. Further, because the I/O virtualization systems can emulate either multiple Ethernet or Fibre Channel connections running at varying speeds, available bandwidth can be tailored to the requirements of VM migration or other heavy loads. Virtualizing I/O does require drivers that support the specific OS in use. The major operating systems and virtualization platforms are supported, including VMware ESX and Windows Server 2008 Hyper-V, but not necessarily all versions of Linux and Xen or other open source virtualization platforms. If you’re using supported OSes, I/O virtualization can make running a large datacenter much simpler and far less expensive, particularly as increased processing power and memory support allow servers to handle vaster numbers of virtual machines. Data is the lifeblood of any business. The problem is what to do with all of it. 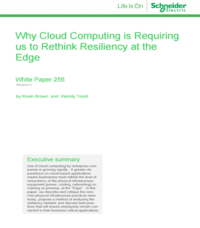 According to IDC, data in the enterprise doubles every 18 months, straining storage systems to the point of collapse. The blame for this bloat often falls on compliance regulations that mandate the retention of gobs of messages and documents. More significant, though, is that there’s no expiration date on business value. Analyzing data dating back years allows users to discover trends, create forecasts, predict customer behavior, and more. Deduplication takes several forms, from simple file-to-file detection to more advanced methods of looking inside files at the block or byte level. Basically, dedupe software works by analyzing a chunk of data, be it a block, a series of bits, or the entire file. This chunk is run through an algorithm to create a unique hash. If the hash is already in the index, that means that chunk of data is a duplicate and doesn’t need to be stored again. If not, the hash is added to the index, and so on. Data deduplication isn’t just for data stored in a file or mail system. The benefits in backup situations, especially with regard to disaster recovery, are massive. On a daily basis, the percentage of changed data is relatively small. When transferring a backup set to another datacenter over the WAN, there’s no need to move the same bytes each and every night. Use deduplication and you vastly reduce the backup size. WAN bandwidth usage goes down and disaster recovery ability goes up. Desktop virtualization has been with us in one form or another seemingly forever. You could probably even say that it’s been emerging since the mid-1990s. But there’s more to desktop virtualization today than most of us could have imagined even two or three years ago. Yet another milestone is just around the corner: truly emergent technology in the guise of the desktop hypervisor. Long the leader in this space, Citrix System’s XenApp and XenDesktop are examples of how desktop virtualization just might put a desktop server farm in every datacenter and a thin client on every desktop. XenApp weaves together all the prevalent desktop and application virtualization technologies into a single package: traditional application and desktop sessions, application streaming, and VDI (Virtual Desktop Infrastructure). No matter which way you turn, the detriments of each is generally backed up by the benefits of another. The client hypervisor takes desktop virtualization the last mile. Picture each desktop running its own bare-metal virtualization layer that abstracts the baseline hardware to whatever VM you wish to push to the desktop, where it can be centrally managed, synced with a mirror on a server, and easily replaced (or even reset by the user) when things go wrong. Citrix isn’t alone with this concept — VMware is developing a similar solution, and both promise to hit the market in 2010. Regardless of what solutions are available today and what solutions may be on the horizon, enterprise desktop management remains one of the biggest points of pain in any organization. While the model for datacenter architecture has changed systemically in the past 20 years, the model for deploying desktops hasn’t. In most places, it’s still one fat box per user, with some mishmash of management tools layered across the top to protect the users from themselves and protect the network from the users. Why on earth would InfoWorld pick a programming framework for distributed data processing as the most important emerging technology of 2009? Because MapReduce enables enterprises to plunge into analyzing undreamed of quantities of data at commodity prices, a capability that promises to change business forever. IDC has predicted a tenfold growth in digital information between 2006 and 2011, from just under 180 exabytes to 1,800 exabytes (that’s 1 trillion and 800 billion gigabytes!). This explosion represents a challenge, of course (how to store, retrieve, and archive all that data), but also a huge opportunity for enterprises. After all, everything in that sea of data is potentially information — information that could be used to guide business decisions. Until recently, enterprises that might want to process petabytes of independent data to find business-relevant relationships would need an extremely good reason to invest in such a venture; the costs and time required were prohibitive. But this is quickly changing as enterprises begin to adopt highly distributed processing techniques, most notably MapReduce, a programming framework that has enabled Google, Yahoo, Facebook, MySpace, and others to process their vast data sets. In its simplest form, MapReduce divides processing into many small blocks of work, distributes them throughout a cluster of computing nodes (typically commodity servers), and collects the results. Supporting highly scalable parallel processing, MapReduce is fast, cheap, and safe. If one node goes down, the lost work is confined to that individual node. Google introduced the MapReduce framework in 2004, but there are many implementations today, including Apache Hadoop, Qizmt, Disco, Skynet, and Greenplum. Apache Hadoop is the leading open source implementation. Amazon taps Hadoop to offer MapReduce as an Amazon Web Service. Cloudera, which bills itself as offering “Apache Hadoop for the Enterprise,” is making significant inroads. Support for MapReduce programming is also delivered in several enterprise software products such as GigaSpaces eXtreme Application Platform, GridGain Cloud Development Platform, IBM WebSphere eXtreme Scale, and Oracle Coherence, to name a few. The inexorable growth of data is a fact of life. As vendors drive the MapReduce framework into product offerings, we have a new window into what all those petabytes mean. It’s difficult to imagine how, just 30 years ago, businesses could function without the benefit of business intelligence software or even spreadsheets. When MapReduce becomes part of the culture, business strategists in the not-too-distant future may look back on our era in the same way.